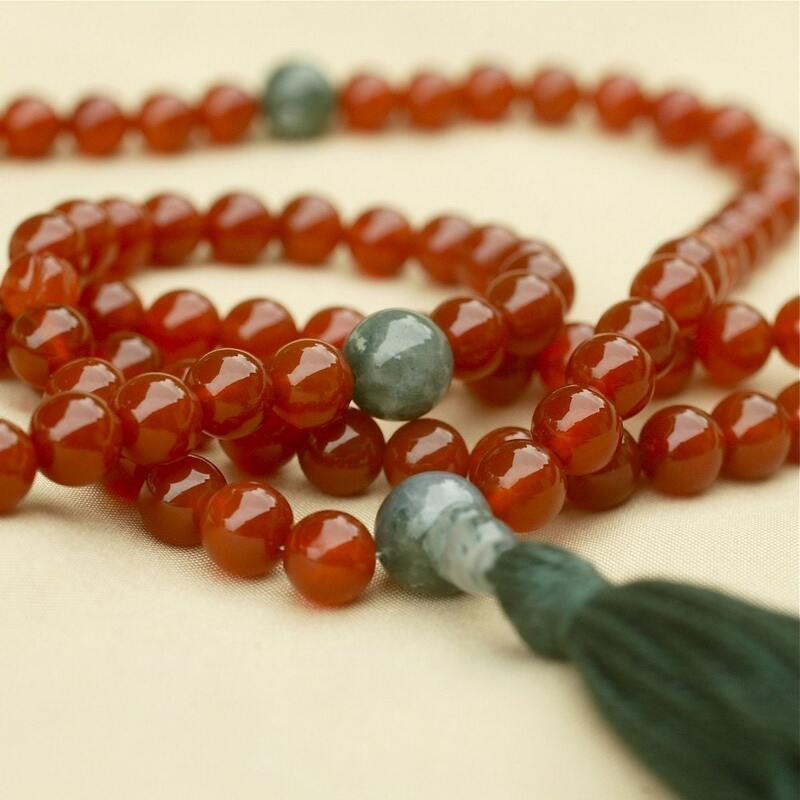 This carnelian and moss agate mala combines the deep orange of carnelian with the cloudy dark and light greens of moss agate. A dark green tassel I made of cotton finishes it with a moss agate guru bead. 3 moss agate beads, placed at the 21st and 56th spots. 111 beads total. This is a traditional 108 bead mala with three markers beads. It is strung with love and compassion on strong beading wire. It still coils like those strung on silk. I've finished it with a cotton tassel that I made. 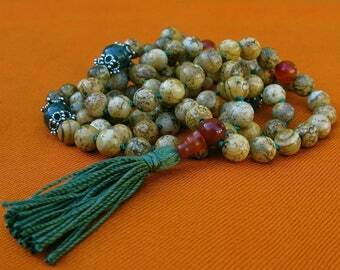 Please see http://www.compassionmalas.etsy.com for more semi-precious stone malas. Sales tax added in Paypal for California shoppers.